We created this beautifully bespoke kitchen extension for a family in Wavendon Gate, Milton Keynes. They wanted to increase their space for their family with a dining area attached to their kitchen. 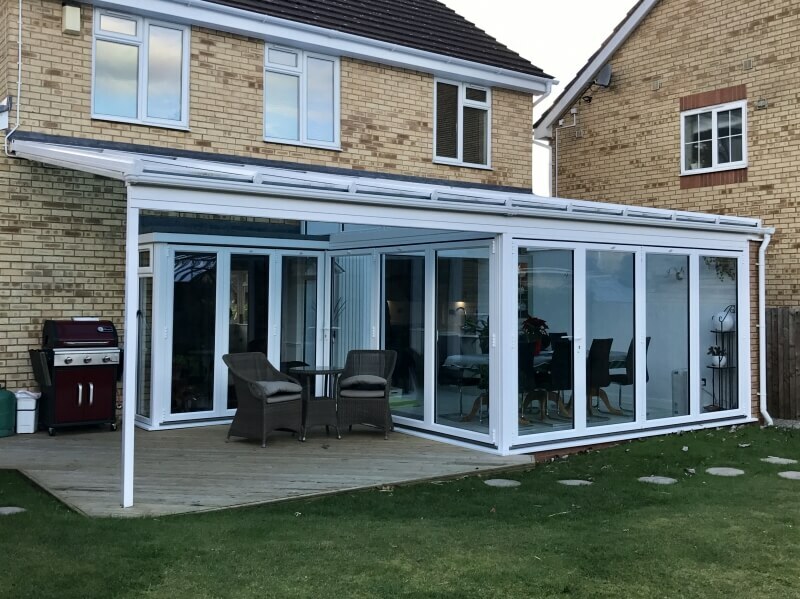 As well as adding a glazed extension, we also extended the roof canopy to give them more usable outdoor space. Once the weather warms up, even if it’s raining, they can enjoy spending time admiring their garden or having a BBQ. Highly energy efficient Pilkington Activ Blue glass was used for the extension. This innovative glazing is self-cleaning giving a crystal clear finish year round with no effort. 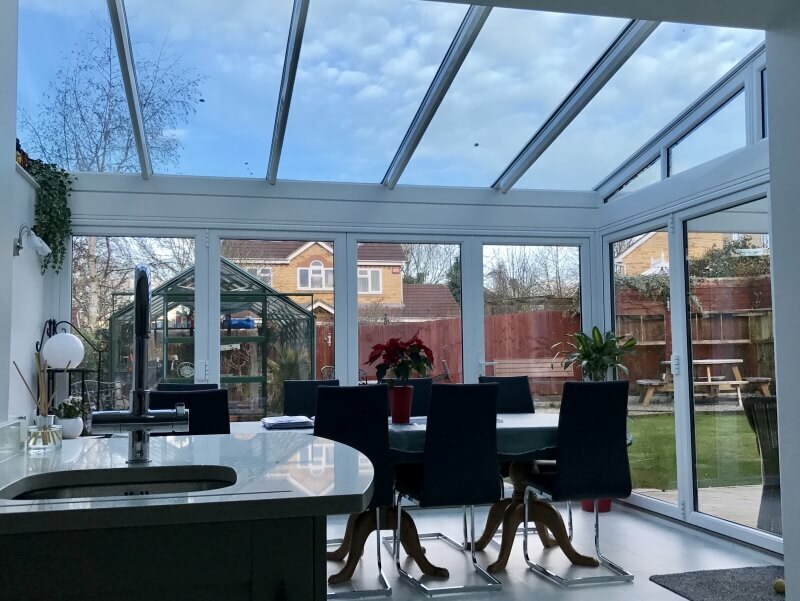 With high levels of solar control, the room will never overheat; a problem often suffered by older conservatories. Even on cloudy days, an abundance of natural light can filter through, giving a bright and welcoming space. Two sets of bifold doors were added which when opened will greatly increase their space. Bifold doors fold and stack to the side so don’t take up any space on either side of the door and create an open-plan feel throughout the home. If you’d like to find out more about the tailor made extensions we can create for your home, get in touch today.